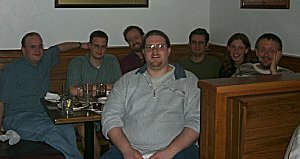 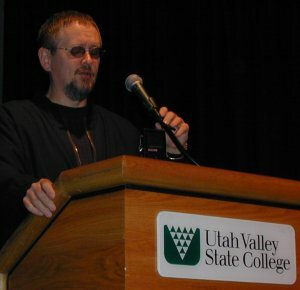 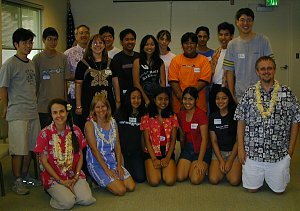 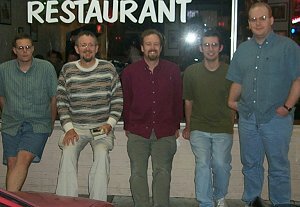 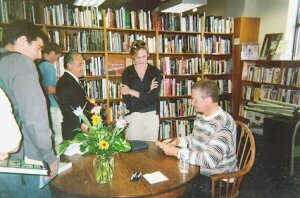 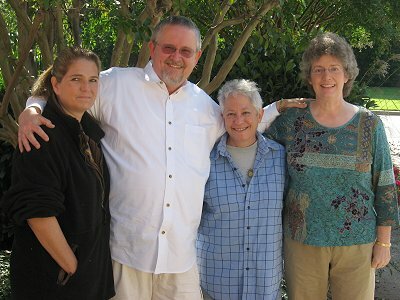 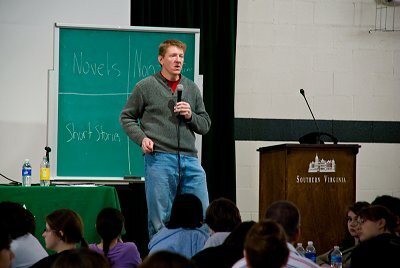 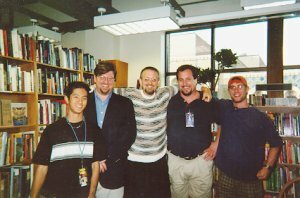 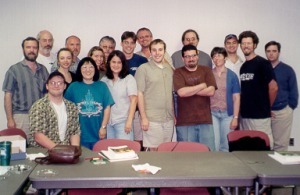 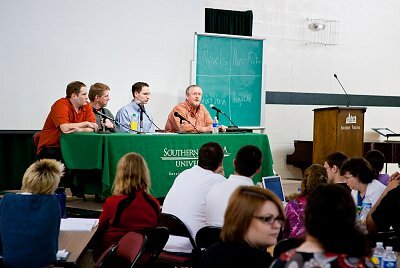 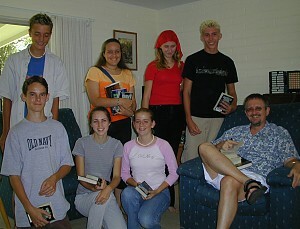 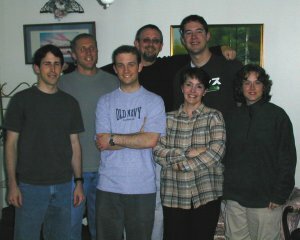 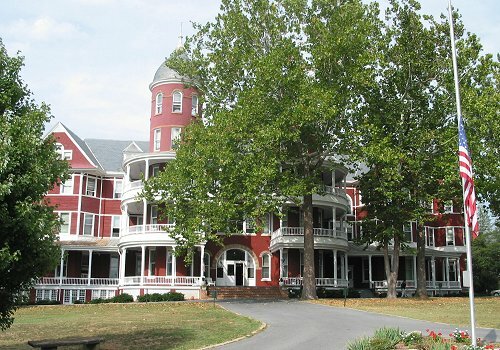 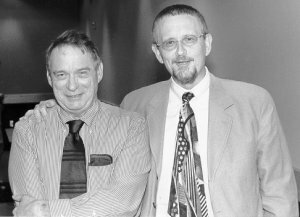 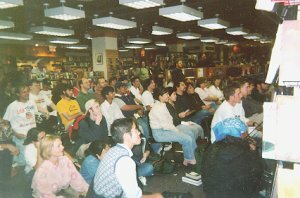 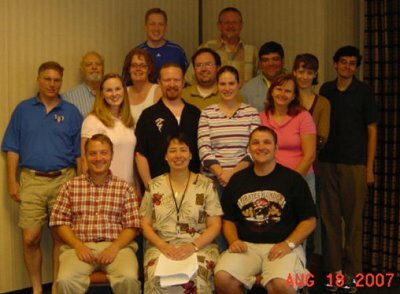 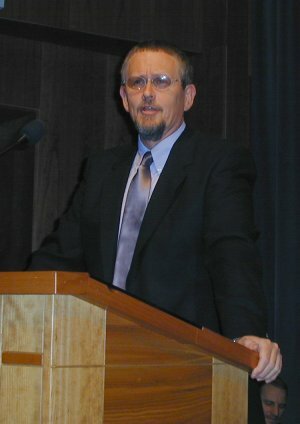 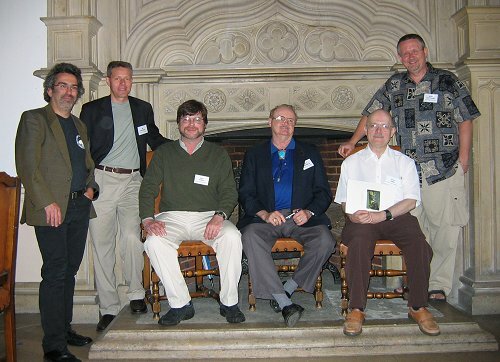 OSC at Jesuit School in New Orleans on 13 November 2001. 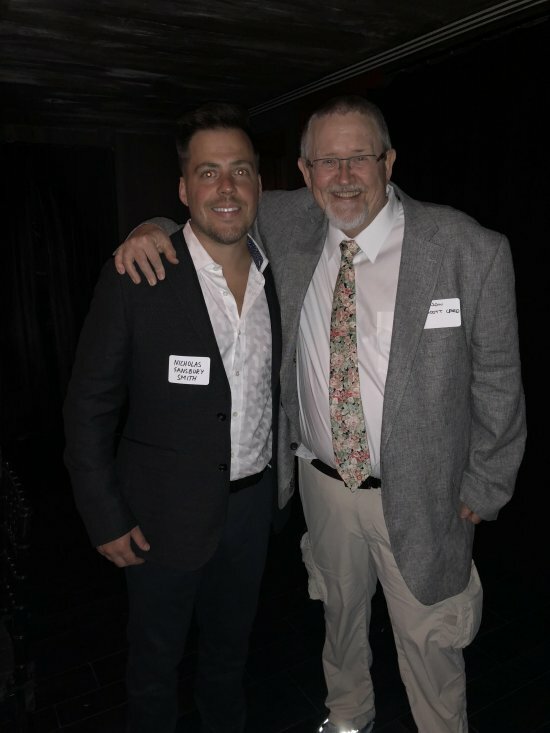 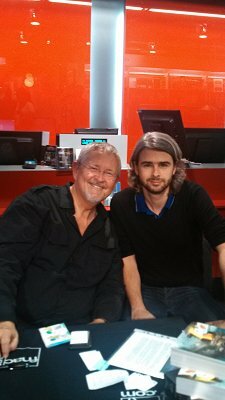 OSC and Nicholas Sansbury Smith in NYC, May 2018. 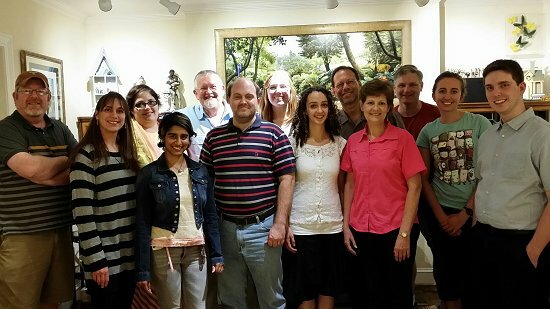 OSC with Austin Wright and Paige Walters at Mysterious Galaxy, 12 May 2018. 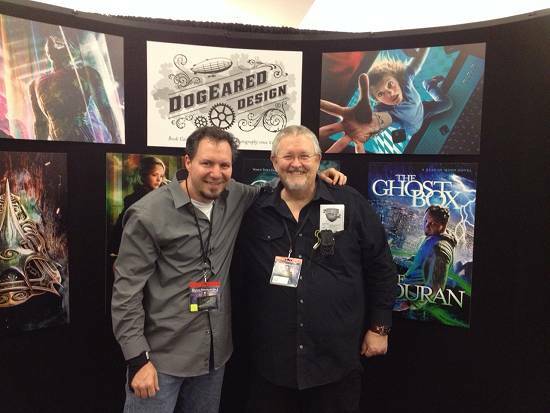 OSC meets Kirk DouPonce of DogEared Design at Spectrum Live convention in Kansas City, 23 May 2015. 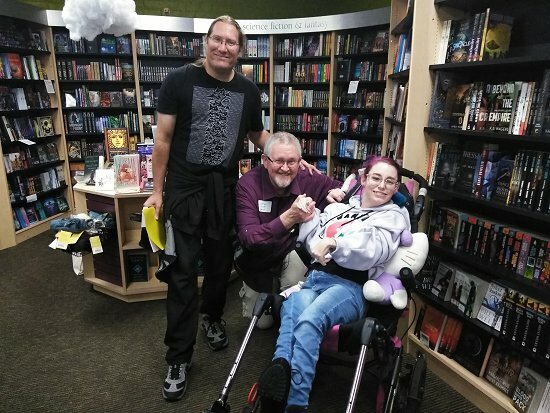 Rebekah goes on sale for the first time at the downtown Salt Lake City Deseret Bookstore on 26 November, where OSC and his son Geoffrey signed their books. 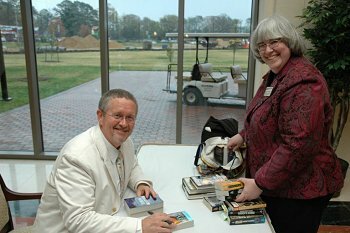 Geoffrey's first novel, "God's Army," based on the movie by Richard Dutcher, went on sale only a couple of weeks before. 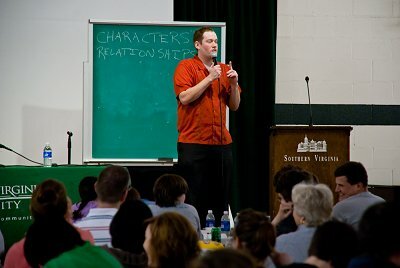 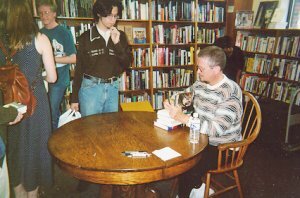 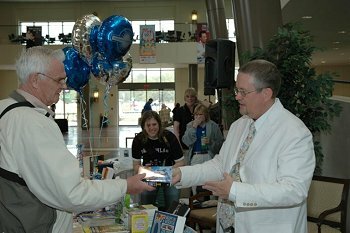 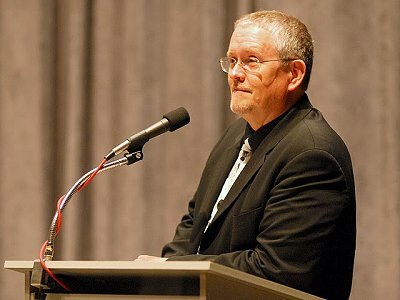 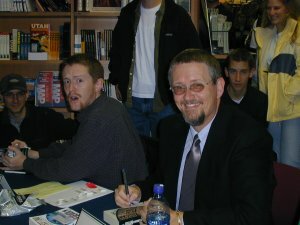 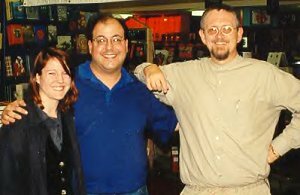 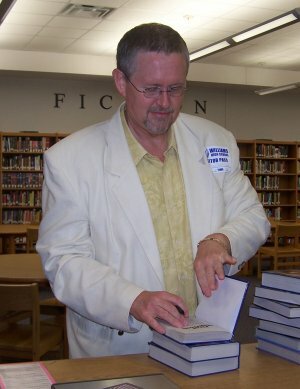 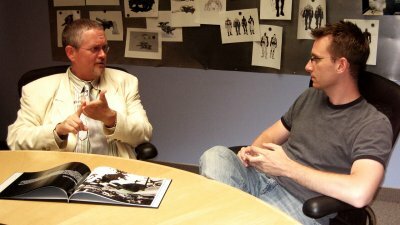 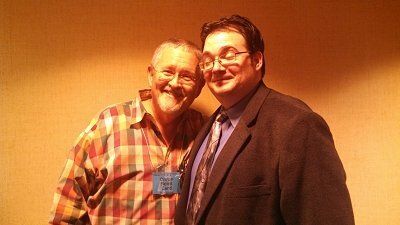 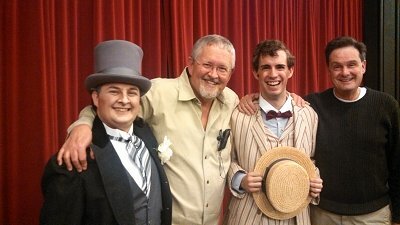 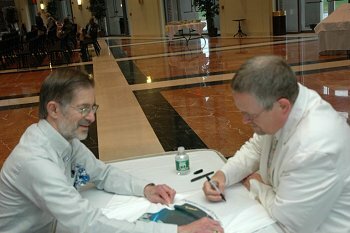 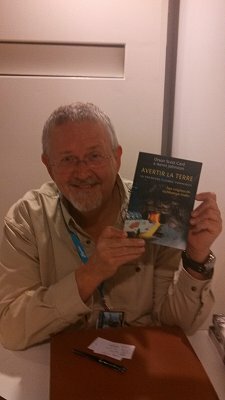 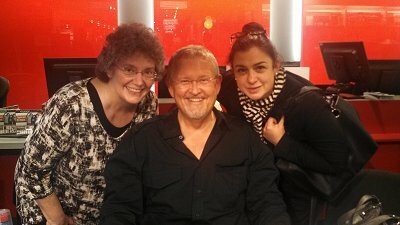 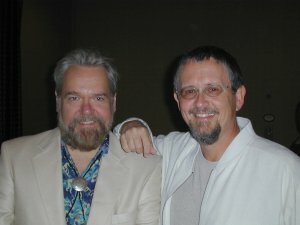 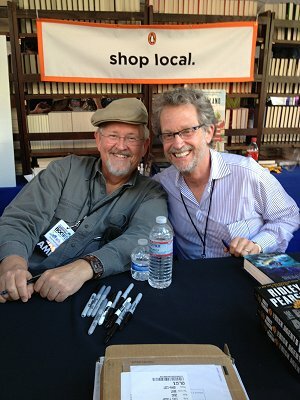 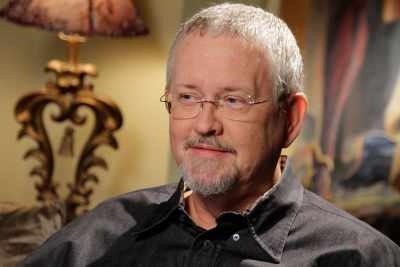 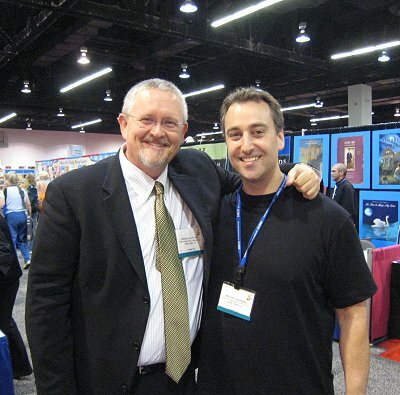 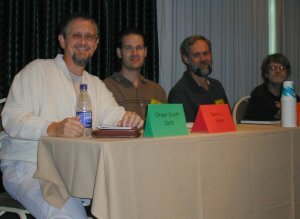 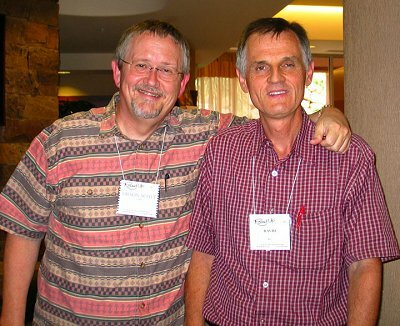 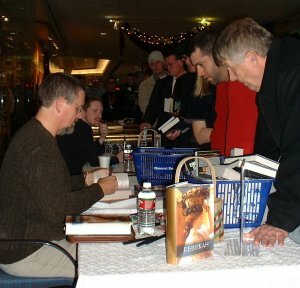 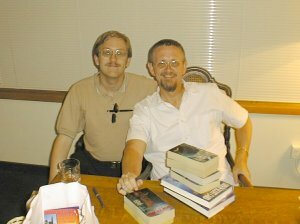 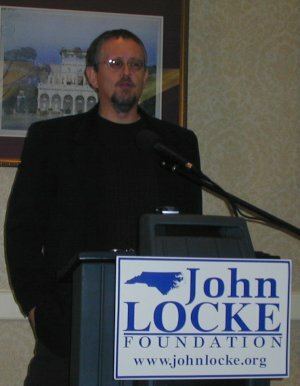 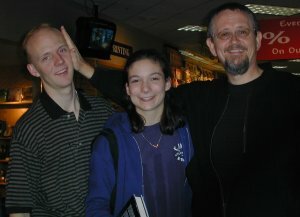 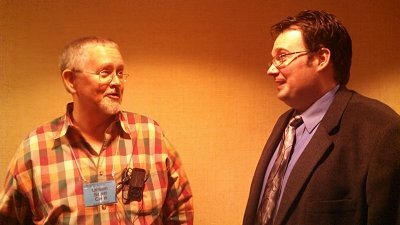 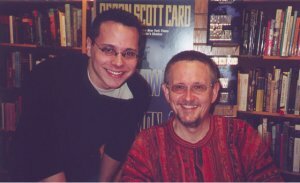 Walter Jon Williams and Orson Scott Card at Necronomicon 2001 in Tampa on 28 October. 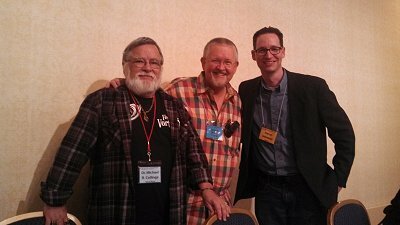 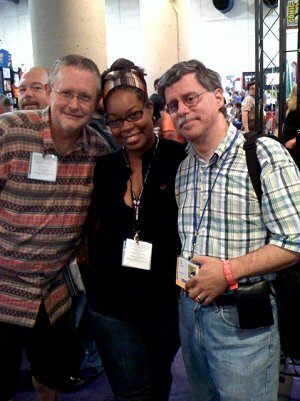 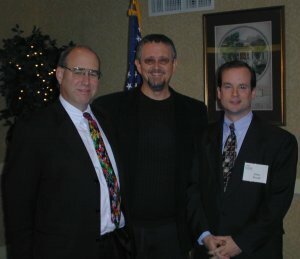 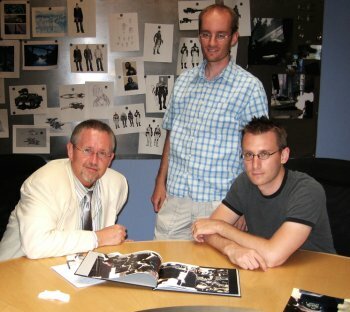 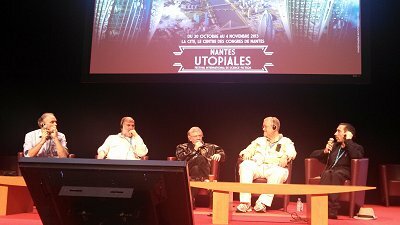 OSC, David L. Felts (editor of the semi-prozine "Maelstrom"), Jim Vega (author of Ceti Mission), and fantasy/horror writer Richard Lee Byers. 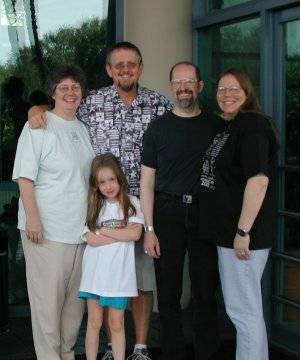 The Cards and the (Timothy) Zahns saying good-bye outside the convention hotel. 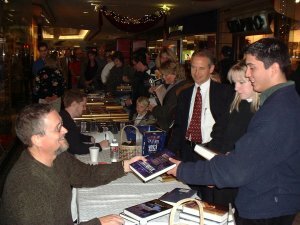 Shadow of the Hegemon signing at Borders in New York with Adam Moore. 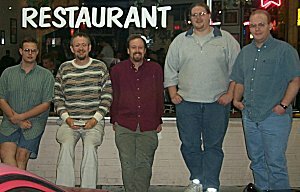 January 2001. 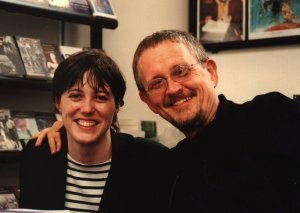 OSC with Florence Bury, his favorite French interpreter, at the literary festival "Etonnant Voyageurs" in St. Malo, Brittany, France. 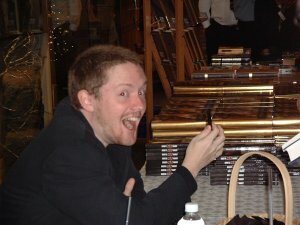 Signing at Borders in Ann Arbor, MI. 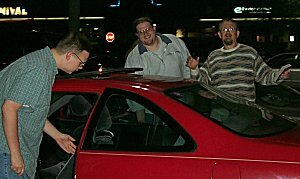 September 15, 1999. 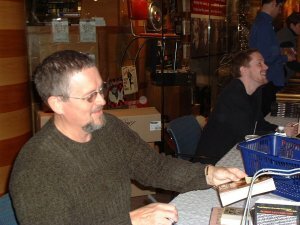 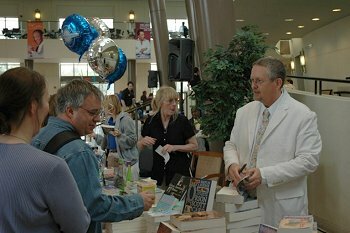 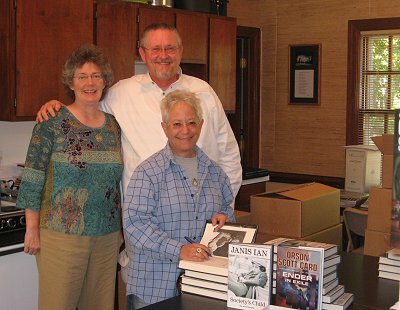 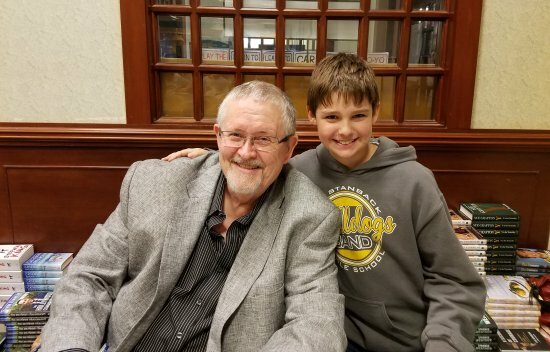 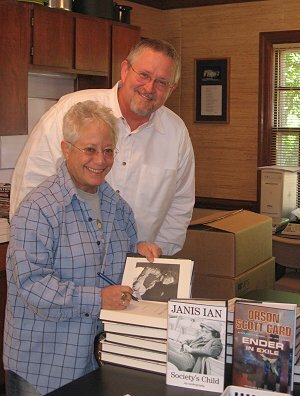 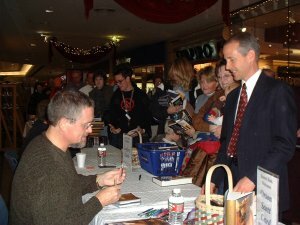 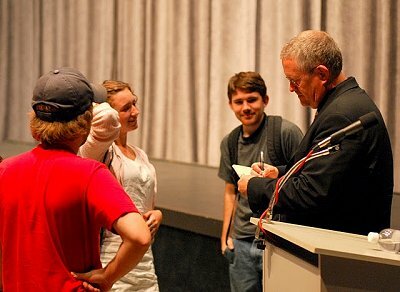 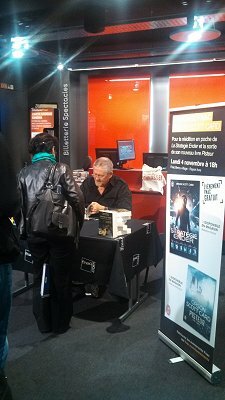 OSC with Mike Stanczyk at a signing in Denver, Colorado.